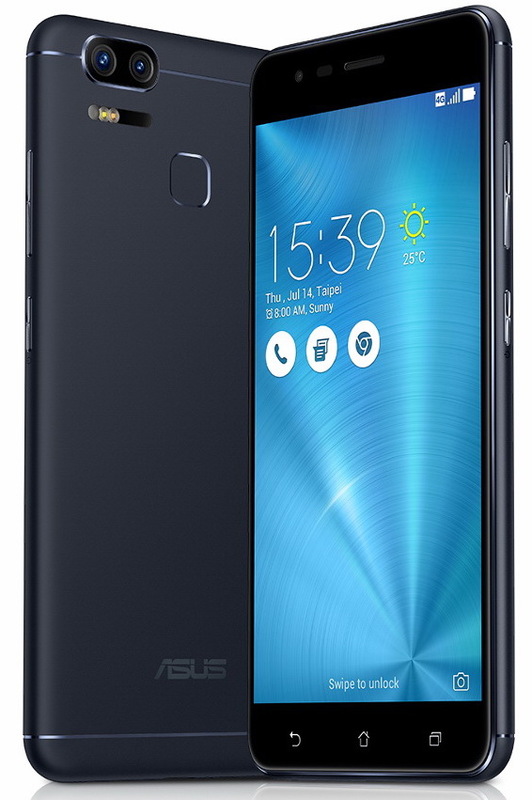 Asus has finally announced its Zenfone 4 series of smartphones at a global launch event in Taipei. The lineup includes as many as six devices – Zenfone 4, Zenfone 4 Pro, Zenfone 4 Selfie, Zenfone 4 Selfie Pro, Zenfone 4 Max and Zenfone 4 Max Pro. 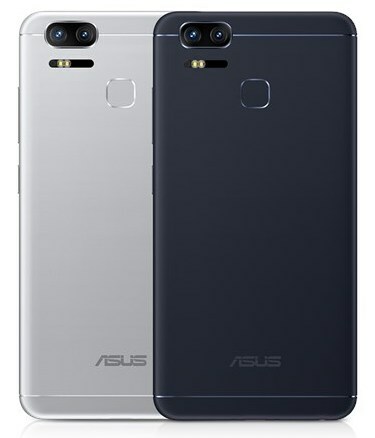 At the same time, Asus has launched the “Zenfone Zoom S” in India which is actually the same phone that went on sale in May this year as Zenfone 3 Zoom in the US for $329. Priced at Rs. 26,999, the Zenfone Zoom S will be sold in India exclusively on Flipkart. Comes in 2 colours – Navy Black and Glacier Silver. The highlight of Zenfone Zoom S is the rear dual cameras setup that offers 2.3X optical zoom and the phone comes equipped with a massive 5000mAh battery, which is something Asus has borrowed from its Zenfone Max series. Featuring a unibody metal design, the device sports a 5.5-inch Full HD AMOLED display with 2.5D Corning Gorilla Glass 5 protection. It runs on Android 6.0 Marshmallow with Zen UI 3.0 on top and an upgrade to Android 7.0 Nougat is planned. Under the hood, it’s powered by a 2.0GHz Octa-core Snapdragon 625 processor with Adreno 506 GPU. This is coupled with 4GB of RAM and 64GB of storage that is expandable up to 2TB via microSD card. The thickness measures at 7.9mm and the device weighs 170 grams. In terms of optics, the dual rear cameras pack a 12MP main camera with f/1.7 aperture and a secondary 12MP zoom camera with f/2.6 aperture that enables 2.3X true optical zoom and 12X digital zoom. The primary camera features dual-LED real tone flash, OIS for photos, EIS for videos, 4K video recording and Asus 0.03s TriTech+ autofocus technology that combines dual pixel PDAF and laser autofocus. With a software update, the company intends to introduce RAW capture support and iPhone 7 Plus like Portrait mode to take bokeh shots. On the front, it packs a 13MP shooter with Sony IMX214 sensor, f/2.0 aperture and screen flash to take high-quality selfies even in low-light. Connectivity options include Dual SIM (Hybrid SIM slot), VoLTE support (via firmware update), Wi-Fi 802.11 b/g/n, Bluetooth 4.2, GPS, FM Radio, USB OTG and USB Type-C port for charging. The device also includes a rear-facing fingerprint sensor. A 5-magnet speaker with NXP Smart Amp is also there that outputs high-resolution audio. Sensors on board include Accelerator, E-Compass, Gyroscope, Proximity sensor, Ambient light sensor, RGB sensor, IR sensor, and Fingerprint. The 5000mAh non-removable battery supports BoostMaster fast charging and reverse charging that allows users to charge other devices on the go. A 10W charger comes bundled in the box. We also expect Asus to launch its new Zenfone 4 lineup soon in India. Stay tuned for more info.